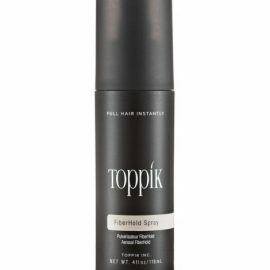 Toppik Coloured Hair Thickener is an easy to use scalp concealer that will disguise areas of hair loss or thinning hair. 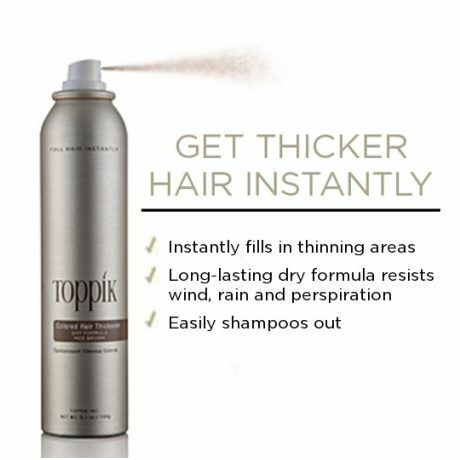 Toppik Coloured Hair Thickener will coat both your hairs and scalp in a consistent colour to hide scalp show through and give the appearance of natural hair. Safe to use on a daily basis, and will resist against wind, light rain and perspiration. Instantly gives the look of full hair and will out volume and lift. Shake the can well before use. 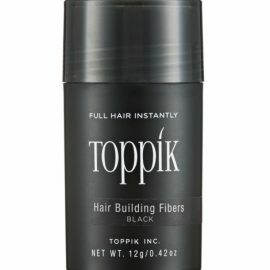 Only use Toppik Coloured Hair Thickener on dry hair. 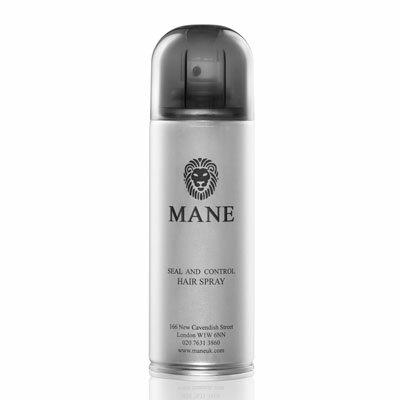 To apply, hold 4-6 inches away from hair and spray in an even and continuous movement. Comb or brush through gently after application, to ensure an even coating throughout and style as you want. After brushing, reapply if necessary.